Let your family fuel your passion to grow. It is a familiar battle most entrepreneurs face—how do you balance time between your business and your personal life? When your business is growing, it is a thrilling time. Maybe you are making a move into a larger facility, or you are hiring new staff. Production may be at capacity, and you are finally starting to see the vision you had at the start of your business come to life. While it can be tempting to throw yourself into the business and participate in all aspects of its growth, what do you do when your family is growing as fast as your business? Here is how Brar managed to keep up with the increased demands of a growing business and a growing family. “I wouldn’t be able to do what I do without the support of my spouse,” Brar said. Nourishing his relationship with his wife, Shelli, is front and center of Brar’s weekly to-do list. “You can’t bring all your effort to work. You have to bring it home too,” he said. Because Brar lives close to the office, he will often go home to have lunch with his wife, and the couple has a weekly date night to ensure they are getting enough quality time together. During busy times, Brar will go into the office at 4:30 am and leave by 7 am, just in time for wake-ups. “I try to make sure I’m there for my kids when they’re waking up and when they go to bed,” he said. 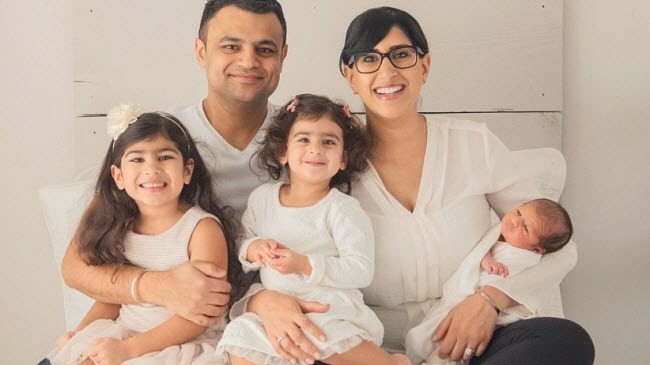 "There’s nothing better than them going to bed seeing you and waking up and seeing you.” Brar saud he always takes the kids to school and schedules work time around the kids drop off time. “That’s a great way to start my day, and I wouldn’t want to start it any other way." Too often, Brar said, entrepreneurs try to do everything themselves. Learning to let go is the only way he has been able to balance increased work and life demands. “If you build a good culture and you’re a good leader, you’ll be able to grow the business because it doesn’t need you to micromanage every decision,” Brar said. When making hiring decisions, Brar makes sure he is bringing people on board who are not only independent and able to take the reins when he is not around, but who represent his beliefs and style so he can delegate tasks and get them done the way he would do them.